Granada is one of the most beautiful Spanish cities that is low on the hill and around them rises the Sierra Nevada Mountains. Granada is situated on 738 meters altitude in the foothills of the Sierra Nevada, with the confluence of the rivers Darro and Genil. Today this popular tourist center, is home to some 238 000 people. Granada has an enormous popularity due mostly to the incredible architectural masterpieces, which occupy most of the streets. There, for almost every step you can see some of the best examples of Moorish, Jewish and Christian architecture. Granada is one of the major university centers in Spain, attracting students from across the country. More than two million tourists a year visit Granada. The city is promoting the proximity to the coast of Costa del Sol in the south. 7th century BC the site of today shows a settlement that supports business contacts with the Phoenicians, Carthaginians and Greeks. In the fifth century BC the Greek colony was founded Elibirge, which in Roman times was called Iliberis. The city Visigoths maintained the importance of their religious and administrative center, and became an important fortress. The Jewish community settled in a separate suburb called al-Garnata yahud, which was later named the entire city. 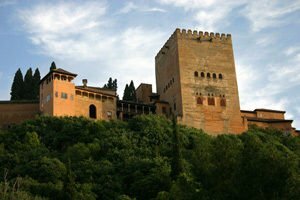 Then Granada becomes the first Muslim university in Western Europe, and that it was the last Arab city in Spain ceded to the Christians in January 1492 when entering into possession of Roman-Catholic monarchs Ferdinand II and his wife Isabella I. The spectacular medieval, Alhambra Palace, is located at one end of Granada and is a superb architectural achievement of Moorish culture and style. As such, the Alhambra is one of the most visited tourist attractions in that part of Spain. The name, Alhambra, literally translates from Arabic as "red fortress". It dates from 1238, but this time the Iberian Peninsula ended the centuries of Christians fighting for the Spanish Conquest of the land from Arabs, known in history under the name of Reconquista. Different parts of the Alhambra castle were built in different centuries, but most are now preserved. Although Islam prohibits the depiction of human and animal figures, the complex is richly decorated with geometric elements and floral classical Arabic calligraphy. One of the interesting aspects of the architecture of this castle in Granada is that the facade of the tower has a recess in which a statue of the Virgin Mary with a Child is located. With its 45 m tower it is the highest in Alhambra. The entire interior is occupied by the Throne Hall, also called, Hall of Ambassadors. One of the most impressive places in Granada is the Albaysin neighborhood, which is included in the list of world cultural heritage by UNESCO in 1989. 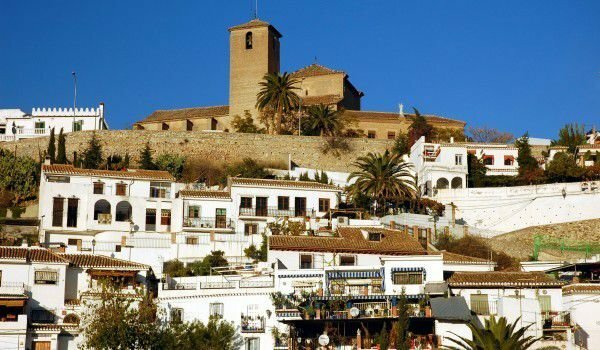 Th3 Albaicin old Moorish quarter is situated along the sloping coast of Granada. They call it, the White neighborhood because there are more predominant in the white painting of buildings. This neighborhood of Granada is woven from a small and noisy shopping street, but there are some quiet places to walk. The Cathedral in Granada is considered one of the excellences of the Spanish Renaissance palace along with El Escorial near Madrid. This remarkable religious building is considered one of the most beautiful and magnificent cathedrals in this part of Spain. The construction of the cathedral of Granada began in 1521, and was built in Gothic style. The final phase of construction was in 1714, when the architecture had already been added with Renaissance motifs.